Avian and Exotic Animal Medical Center is proud to serve Delaware County, Chester County, Philadelphia County, Montgomery County, etc. in PA also clients from New Jersey and the state of Delaware. We are dedicated to providing the highest level of veterinary medicine along with friendly, compassionate service. If you have any questions about how we can care for your pet, please don’t hesitate to call us at (610) 494-2811. Thank you! Why Choose Avian and Exotic Animal Medical Center? Board Certified Specialist in birds: Diplomate of the American Board of Veterinary Practitioners in avian practice. 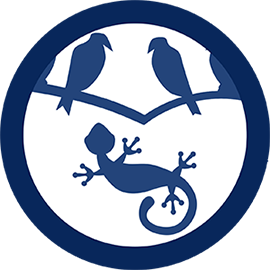 Specializing in birds, small exotic mammals, and reptiles for almost since 1993. No barking dogs or meowing cats means no stressed patients. We provide boarding services for our own clients. We stock Harrison’s bird foods as well as Roudybush bird foods and Oxbow products. We perform dental procedures for bunnies, chinchillas, mice, rats, guinea pigs, and more. We routinely spay and neuter. We stock Lupron and deslorelin implants.